Crafted in a feather light design that fits comfortably on you, the Creative Outlier is a deserving companion on your exhilarating adventures, or outdoor escapades. 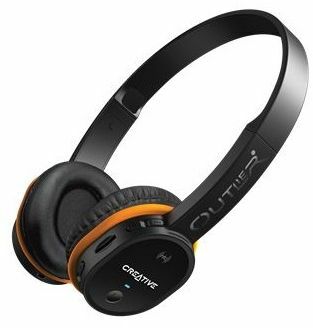 The Outlier plays audio from four different sources - Bluetooth, MicroSD card, USB and AUX-in. Complete with a set of Acoustic Rings, the Outlier can be customized to personalize the sound and color of your headphones.